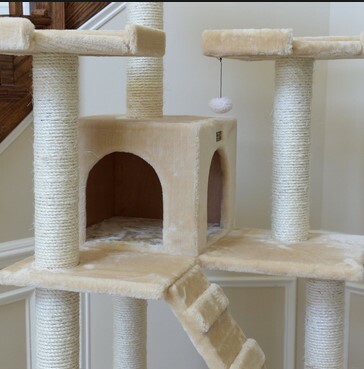 The Armarkat A7401 is a 74″ tall classic cat tree, that measures just over 6 feet tall. It also has two cat condos and 3 cat beds, resting on 5 tiers covered in a beige colored faux fur material. This makes it the best cat tree for multiple cats. The A7401 also has 10 cat scratching posts, of various lengths, wrapped in good quality sisal rope and 2 ramps that make the levels easier for older cats to explore. 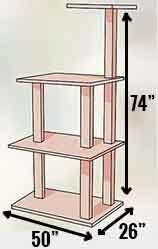 Is the A7401 a Sturdy Cat Tree? Yes, the A7401 is a very sturdy cat tree. If you’ve been researching cat trees or cat furniture for any amount of time, there’s no doubt that you’ve come across many websites and reviews talking about how ‘wobbly’ a certain cat tree may be. These reviews can become very confusing for those of you who perhaps have never bought a cat tree before and so don’t really know what to look out for or expect in different types of cat furniture. There will be a certain degree of movement from any cat tree you choose to buy, but rocking from any cat furniture is not acceptable and will ‘spook’ your cat. The Armarkat A7401 is sturdy with the right amount of movement. Several other Armarkat Cat Tree owners mentioned that you must remember to tighten the screws well as you are putting this item of cat furniture together and then check and tighten the screws to the tiers approximately 6 weeks or so, and this will help to minimise the amount of movement caused by your cat jumping from one tier to the next. 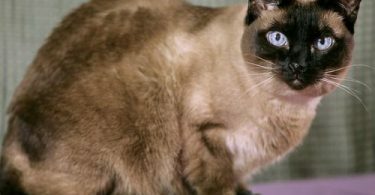 Is the Armarkat A7401 Right For Overweight, Elderly and Clawless Cats? Depending on the agility of your kitty, they’ll probably find the ramps (or ladders), which will need to be screwed into place, very helpful to get up as far as the second tier, where the smallest cat condo is located. According to several A7401 owners, because the tiers are constructed quite close together, after finding the second tier, your kitty may just find his way up to the top tier quite easily. To be honest, most cats manage to leap onto any surface area that they choose, so there’s no reason why they wouldn’t totally enjoy this cat tree. Clawless cats should also be ok, however, according to a few reviewers, if your clawless kitty lunges himself onto the A7401 at full speed, he may slide a little, because the faux fur is very soft and smooth, but hopefully this shouldn’t put him off from having fun. If you’re concerned about the faux fur being too smooth, maybe you’d like to take a look at the Armarkat B5701 or the Armarkat B6802, which are both covered with the faux fleece material. The faux fleece is not as smooth as the faux fur, but it’s not as coarse as carpet either, the texture is somewhere in between. Can the Armarkat A7401 Be Used Outside? The A7401 was designed to be used as an indoor cat tree. This is because it’s made out of plywood and if you live in a climate that’s either damp or humid, there’s a chance that the moisture could simply ruin your kitty’s new toy. There were also a few other Armarkat A7401 reviewers who stated that whilst they think that this cat tower should be fine outdoors on a covered porch, they still wouldn’t take a chance because they felt that this move would decrease the life of the cat tree. 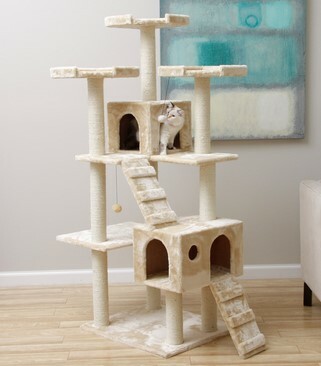 The A7401 is another great looking and well constructed cat tree from Armarkat. …then the Armarkat A7401 could meet your kitty’s scratching, clawing, climbing and sleeping needs. So long as you tighten the screws firmly whilst you’re putting it together, you’ll minimise any wobbling that could occur. The majority of reviewers agree that the parts are made to a high standard, which adds to the look and feel of the A7401 once you have completed the construction.